What is a Schedule page? 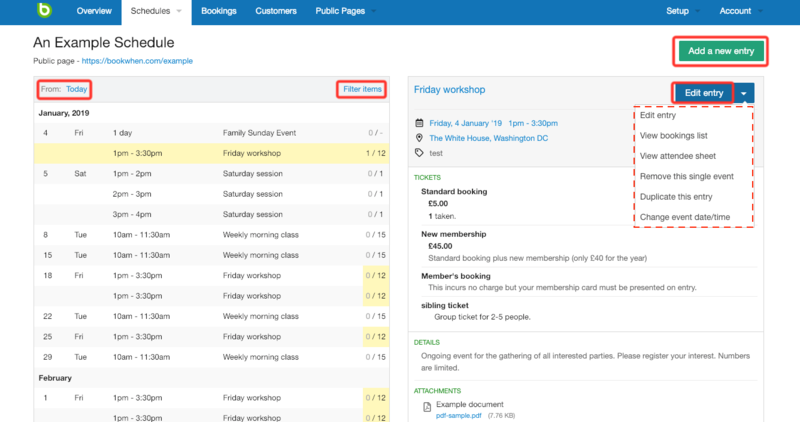 The Schedule page is where you can add, edit and view details of your events. Each of your schedule pages links to a Public page, so any changes you make here will be reflected in the area your customers see (once you have decided to publish them).